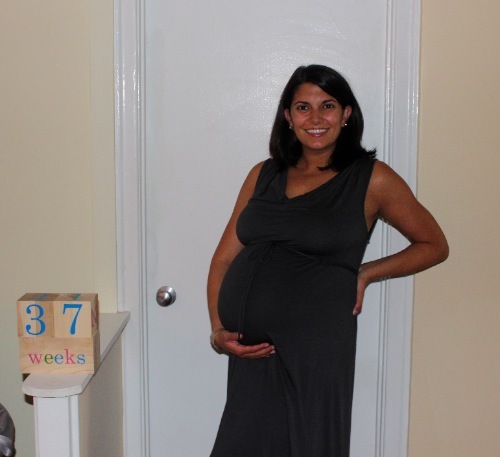 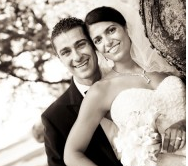 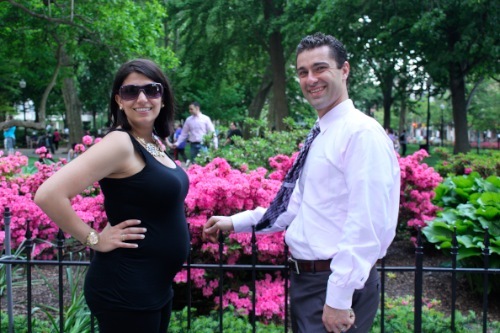 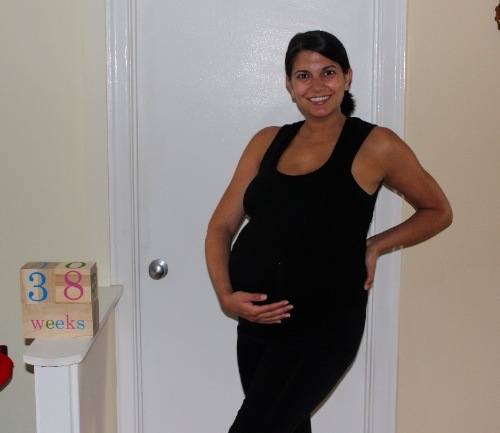 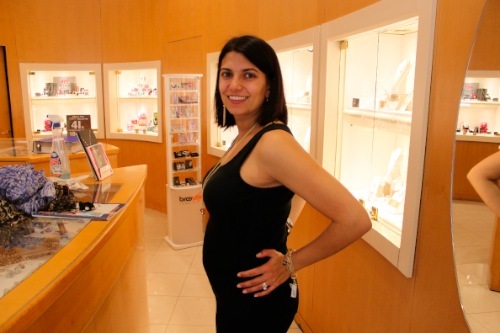 We were so thrilled to welcome our first baby, Raffi, in September 2011. 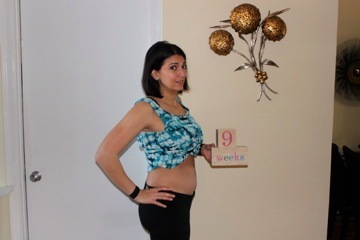 Thank you for joining us on this journey! 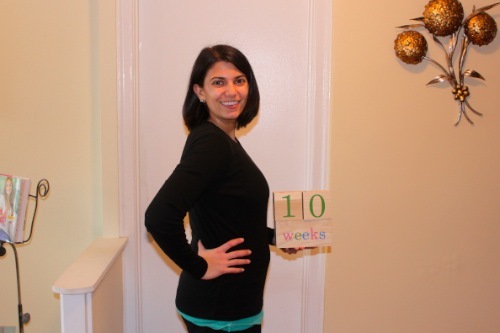 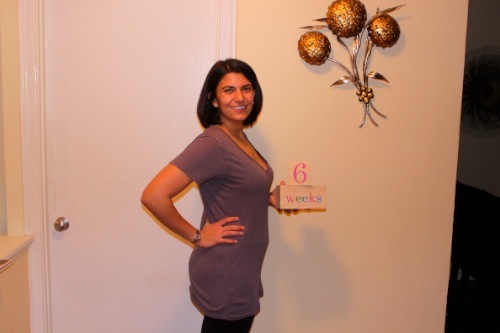 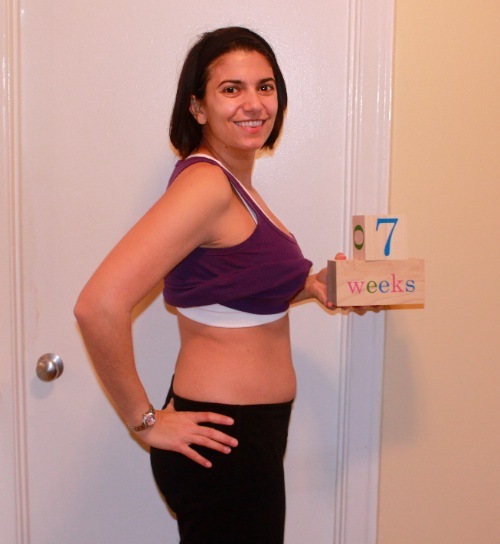 You can click on any of the weeks below (after 13 weeks) to get that week’s pregnancy recap. 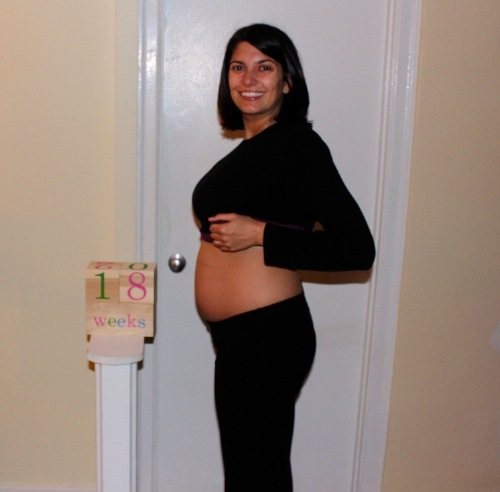 Oh, and in case you missed it, here is how we announced our pregnancy. 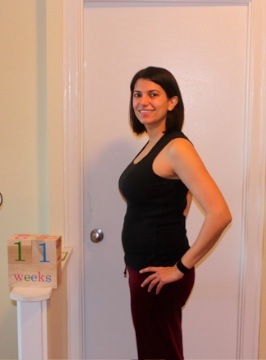 14 weeks: Starting to show! 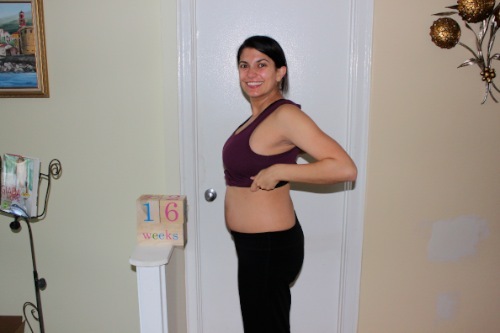 15 weeks: Eating like Miss Piggy! 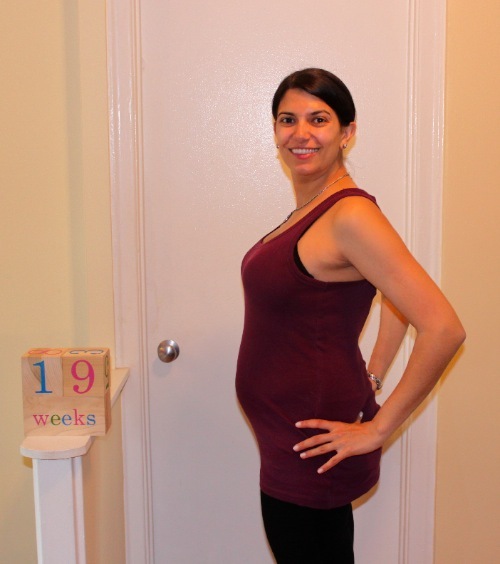 19 weeks: A stroller obsession. 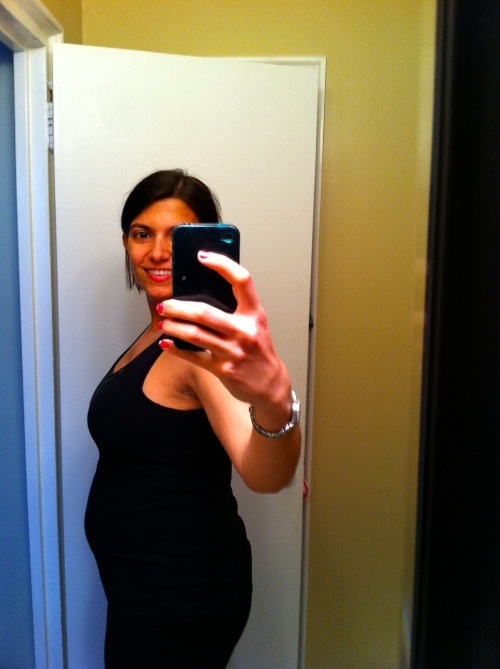 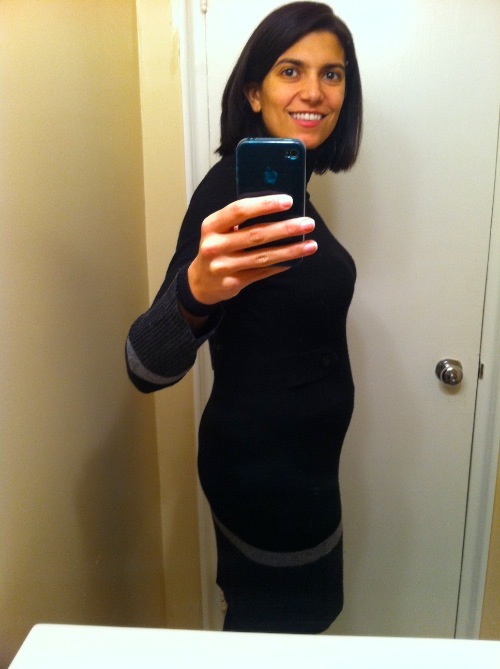 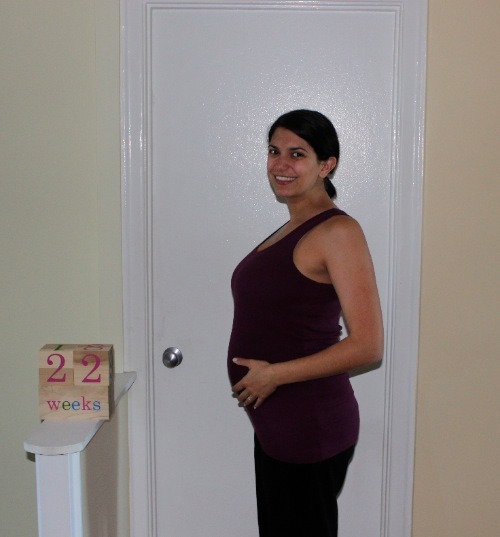 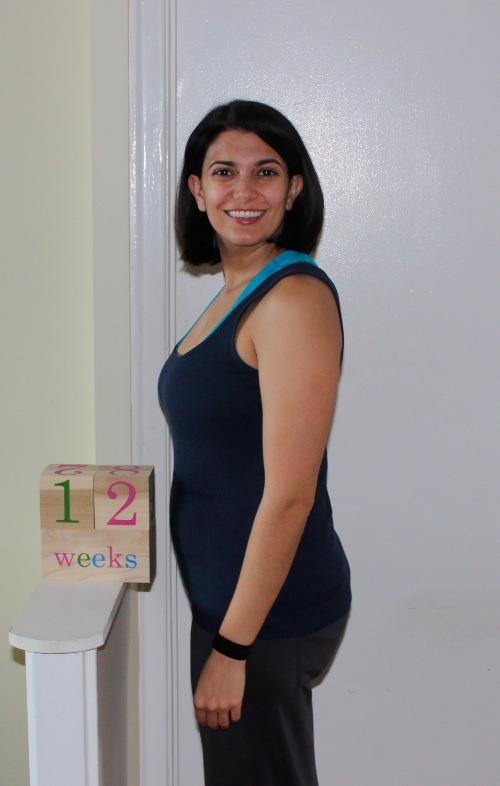 28 weeks: Happy 3rd trimester! 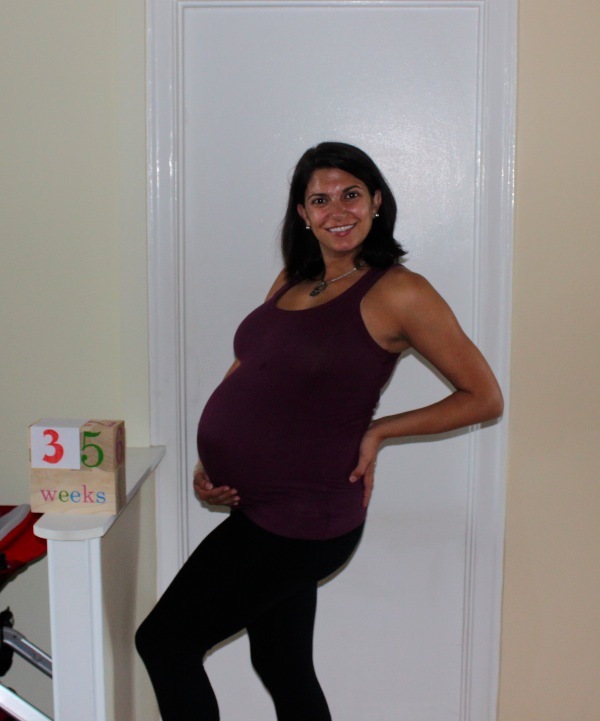 34 weeks: How much longer? 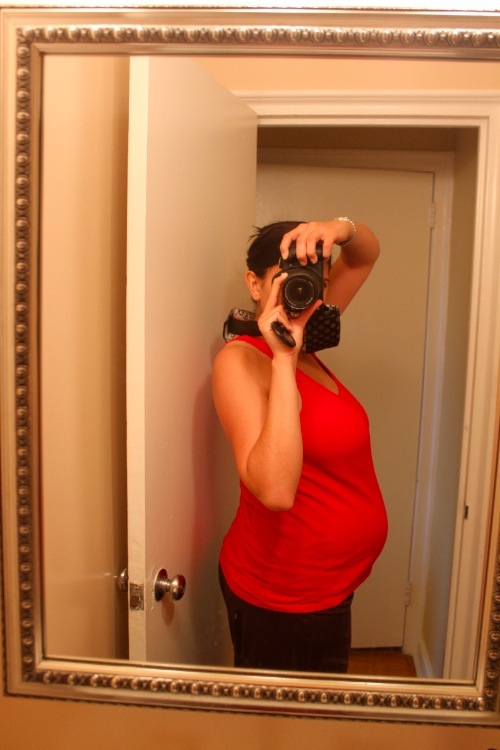 35 weeks: You look like you’re going to pop! 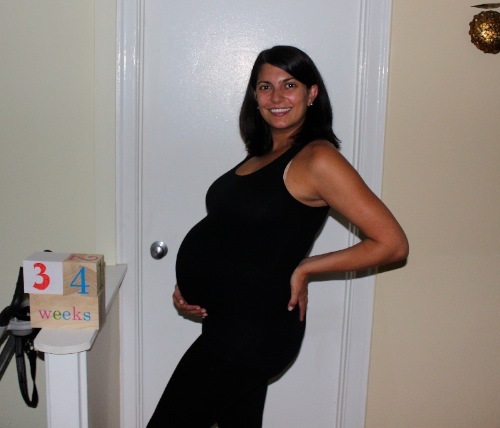 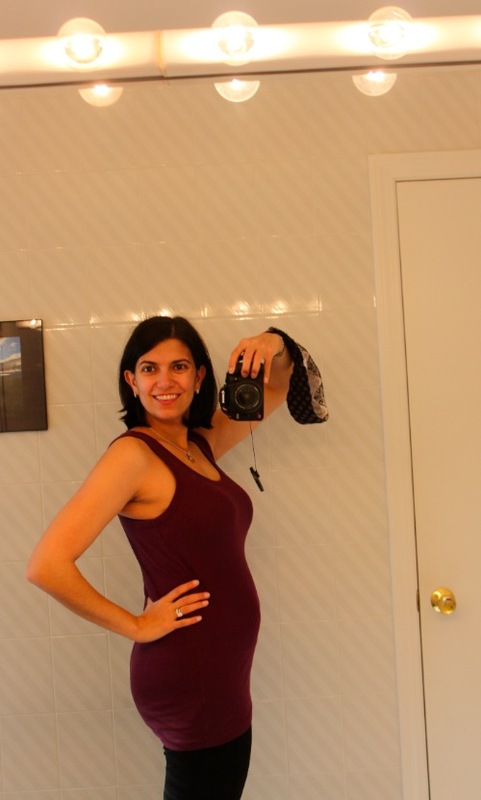 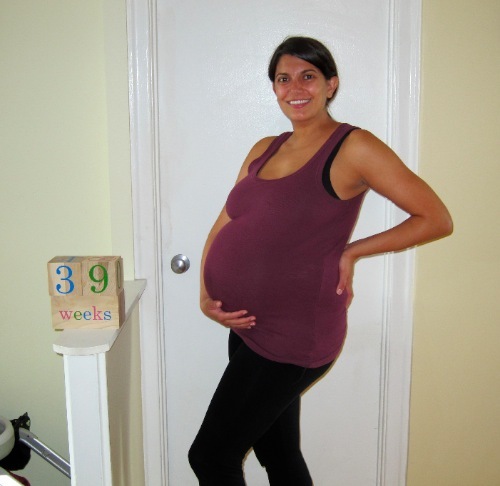 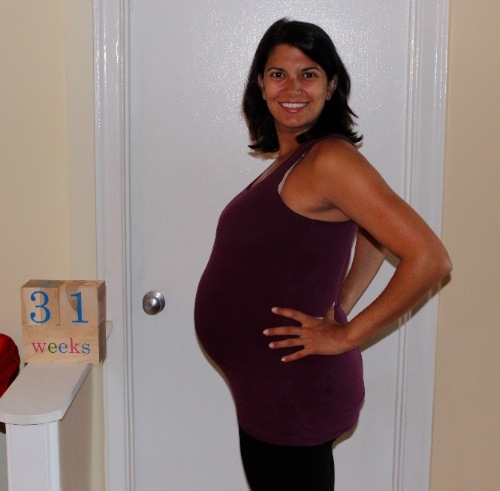 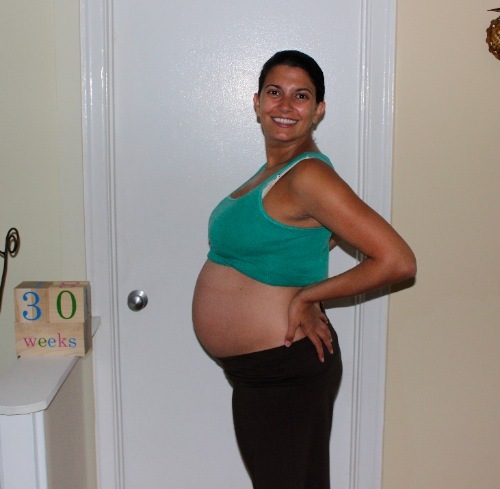 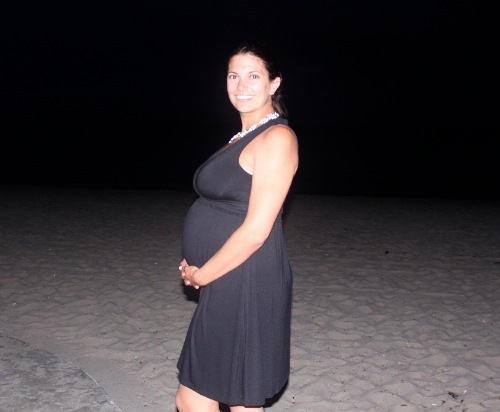 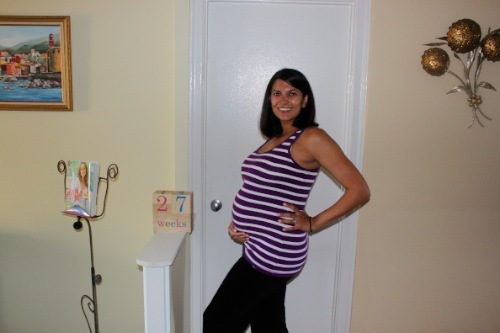 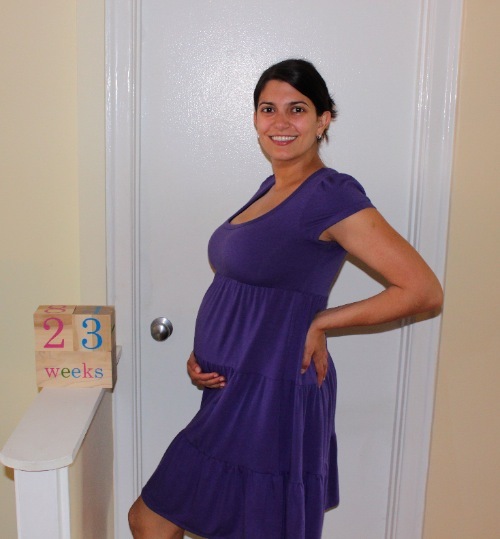 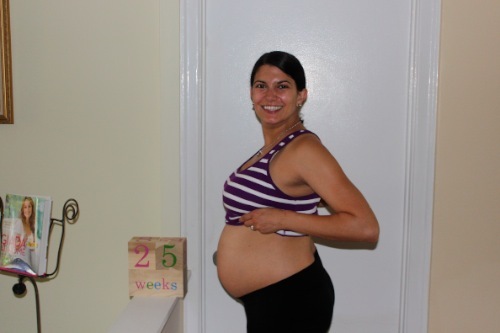 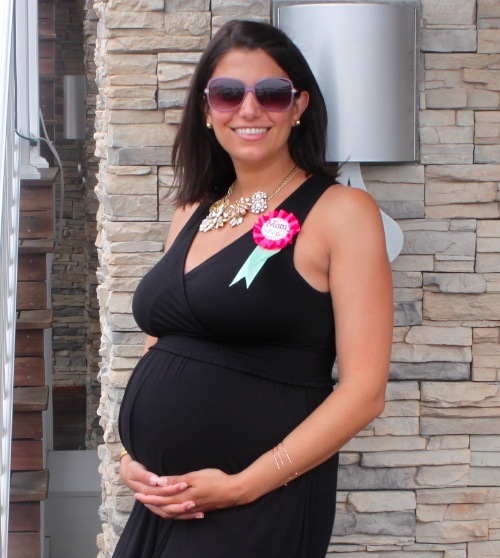 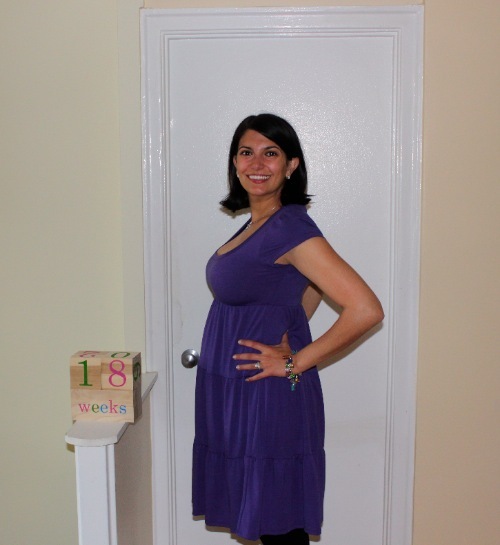 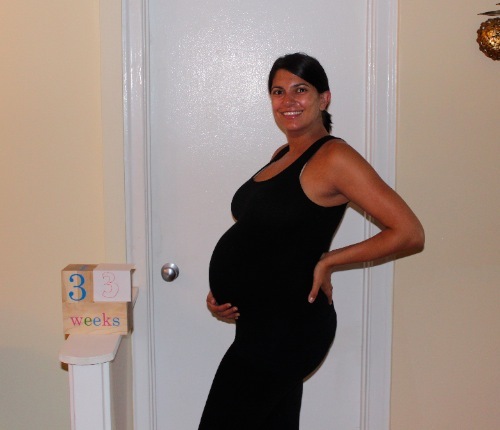 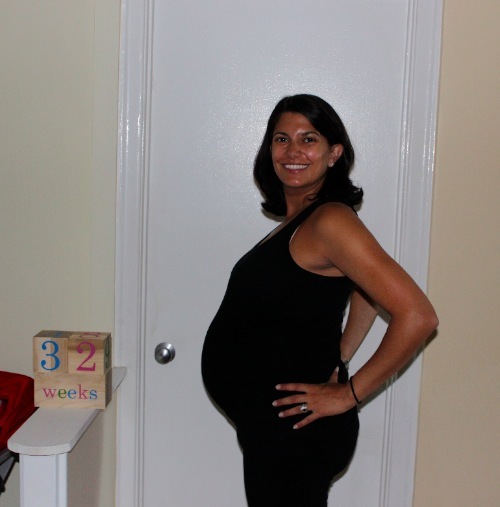 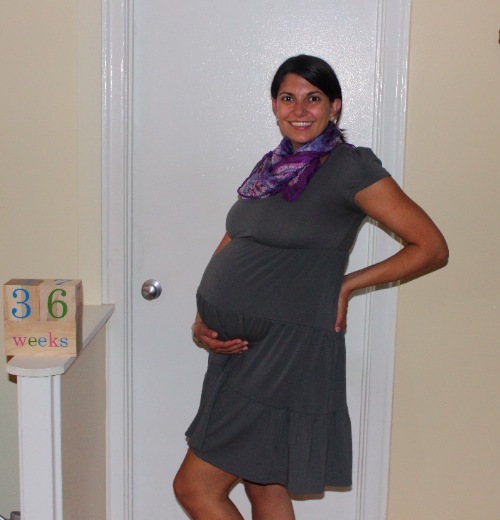 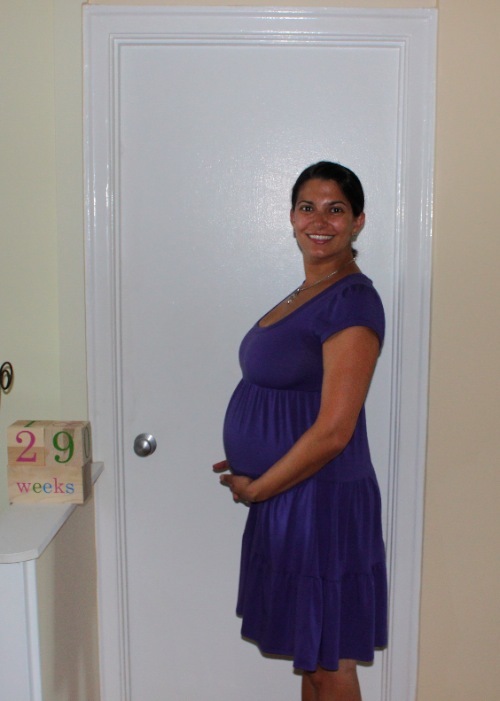 37 weeks: Guess bambino’s birthday! 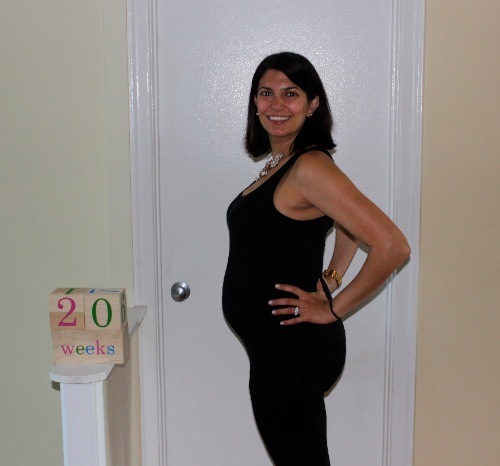 40 weeks: We did it!